With the growth of e-commerce, 2-day delivery, and a rising consumer preference for ‘experiences’ over ‘things,’ traditional brick-and-mortar retail is experiencing an identity crisis. It is no longer enough for retailers to use physical space to simply sell products; instead there is an increasing need to create meaningful, experiential, in-person connections with their customers. As designers and innovators, we have an opportunity to rethink the true utility of a brick-and-mortar (B&M) storefront, and how to design for evolving consumer needs. At the moment, B&M retail is still relatively healthy, commanding 94% of the $4.7T consumer retail market in 2015. E-commerce, however, is growing at a significantly faster rate and it is expected to expand from 10% penetration today to 40% by 2026. It is likely that there will always be a role for B&M storefronts, but their numbers will almost definitely decline, with retailers utilizing their storefronts for flagships and showrooms rather than traditional sales. And as more and more physical spaces slowly vacate, there will be an increasingly pressing need to adjust the ways we think about the utility and purpose of our built environments. Until the mass-adoption of Amazon Prime and similar internet shopping and delivery models, there wasn’t a viable alternative to traditional retail shopping, but e-commerce is quickly proving to be leaner and more nimble than traditional retail, for both retailers and consumers. We are witnessing a fundamental paradigm shift in the way many products are bought and sold. While it used to be, “bring the audience to the product,” it is now, “get the product to the audience.” This is a win-win situation for both consumer and retailer; the consumer gets ease, efficiency, and comfort, while it is far cheaper and more efficient for the retailer, reducing store overhead and shipping time and costs. This has a direct effect on architecture, our built environment, and the way we use our spaces. Whereas spaces used to be in service of delivering commodities, we’re now finding them better utilized by delivering services and experiences themselves, leading us to completely re-think the value of our built environments. As designers of experiences and spaces, we have the opportunity to fundamentally shift the way we think about these physical spaces. If we imagine a future in which most retail transactions happen online, what should we do with all the expensive, sometimes large, very accessible spaces that are vacated? Up to this point, retail experience design has generally focused on how to integrate emerging, and rapidly maturing, technologies into the existing retail experience, rather than rethinking the experience from the ground up. But millennials, who are expected to account for 30% of retail spending power in 2020, prefer spending money on experiences rather than things, which presents a fundamental change in how our spaces are designed and used. If B&M retailers hope to keep their audience, innovation in retail environmental design should begin as an exercise in empathy, fully considering and understanding the needs of the end users. We need to leverage our spaces to create meaningful connections and experiences that matter to people. And if the true utility of B&M retail spaces is shifting from commodities to services, the things that these spaces can offer us, which the internet cannot, are these real-life experiences and human interactions. Our physical environment is, effectively, the user interface for our IRL person-to-person interactions and relationships. If we’re going to design empathically, this means designing our environments to facilitate these types of services and interactions. Simply put, people are looking for something fundamentally different than what they have today, and retailers can’t win by conducting business as usual. Internet shopping has figured out how to make real-life trial possible by offering lenient trial periods and free returns (Zappos, Amazon Prime Wardrobe, and Warby Parker are all great examples), but it lacks immediacy and human interaction, two areas in which B&M retail can excel. So why not dial up these offerings? The Nike flagship store in SoHo, NYC, has figured this out by devoting much of it’s in-store square footage to real-life trial, on the basketball court, in the gym, or on the treadmill. Ultimately, their product is a functional object and we, as consumers, need it to fit within our lives. So their flagship store sells us not only product, but the ability to experience the product in a real-life use scenario. As the numbers of B&M retail stores dwindle in the next couple of decades, the ones that survive will be the ones that can offer a meaningful, real-life connection with the consumer in the store environment. And as we move from delivering commodities to delivering services and experiences, we have to rethink how we value the square feet of a retail space; it becomes less important to have product on the floor and more important to fit the product in our lives. Bearing in mind that environments are about people, and our physical environment is, effectively, the user interface for our IRL person-to-person interactions and relationships, this is one distinct area in which B&M retail can outpace e-commerce. Bonobos has figured out how to offer the best of both worlds (and Walmart figured out how valuable this is when they purchased Bonobos for $310M). As an e-commerce retailer first and foremost, the company keeps its overhead costs to a minimum with relatively few B&M storefronts. And the B&M locations they have opened act as personal fitting and style consultants. Every customer is fitted personally by an associate, and your measurements and fit are saved to your profile, effectively ensuring you a proper fit across their entire offering. What this means for Bonobos’ design is that their stores no longer have to carry a multitude of styles and sizes, and they can act purely as showrooms and personal fitting areas, driving almost all of the sales back to their website. Business owners are finding it harder and harder to monetize their B&M spaces. With typical leasing models, owners pay a premium for their space even during times when the business is closed. But as consumers we are getting more and more comfortable with sharing economies in every aspect of our lives from clothes to vehicles. So how can we apply this mindset to our B&M spaces to utilize them in a more versatile, more efficient way? The startup spacious.com offers members short-term use of restaurant spaces during the day, when the restaurant is otherwise closed. They allow members to “rent” out tables for client meetings, private phone calls, or every-day work, effectively monetizing their square feet for more hours of the day. This is a clever way to retrofit an existing space and business model, but what if we designed our spaces intentionally in a way that wasn’t so specific to one particular use? By designing for versatility, we can build spaces that are more efficient, more environmentally responsible, and more lucrative. We’re in the early stages of a hugely transformational moment in design and retail experience innovation. Today’s consumer demands are going to shape our spaces and our experiences for years to come and effectively define a new mode of retail engagement. None of these elements should be thought of independently; they are each a vital piece of a greater, holistic user experience. As design innovators, we have a unique opportunity to completely reimagine the brick-and-mortar store’s role in the retailer’s relationship with their consumer. Rather than retrofitting incremental improvements into a fundamentally broken experience, why don’t we start from scratch and design a fundamentally better experience? Evan is an Associate Creative Director. 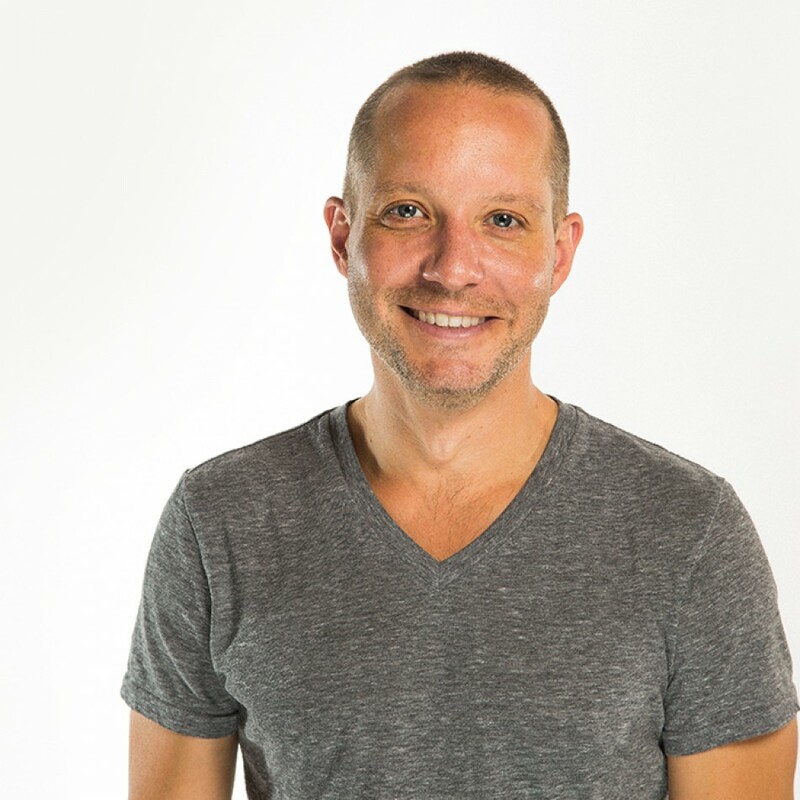 In his role at Fahrenheit 212, Evan is responsible for design innovation with a focus on retail spaces, environments, and branded user experiences. He is particularly interested in creating holistic experiences that consider our built environment in conjunction with the technology that augments our experience within a space.